ILLINOIS: The largest fast food franchise, Mc Donald’s decides to quit polystyrene coffee cups and replace them with paper cups as a good step to say no to plastics. This novel decision of McDonald’s was backed by the Advocacy group, As You Sow which has been encouraging them towards replacing foam cups to paper cups in the US outlets. Polystyrene is identified as a possible human carcinogen which is commonly used in foam-based beverage cups. 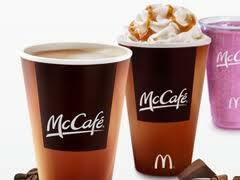 Mc Donald’s announced this week that they will replace polystyrene coffee cups with paper cups at 14,000 company locations in the US. This pilot program was embarked by substituting paper cups in 2,000 stores in the Country. The success of this pilot program has motivated them to get on with paper cups to other locations in the coming weeks. While expressing his acknowledgment, Conrad Mackeron Vice President of As You Sow added that this initiative is anticipated to be the starting phase of the company’s comprehensive recycling policy.